 Our Thermostats allow you to heat specific rooms independently and they can be programmed according to your lifestyle needs. Comfort isn’t the only reason to choose electric underfloor heating. Electric floor heating also offers flexibility, durability and minimal energy consumption, along with a warranty that is second to none. A high-quality thermostat is another factor that helps to boost efficiency. It allows you to heat specific rooms independently and you can even program it to according to the needs of your lifestyle. You can select from manual or programmable thermostats or incorporate a mix of the two if you prefer. A good quality thermostat will allow for greater control over temperature, zoning and timing, making it easy for you to make the most out of your floor heating system. 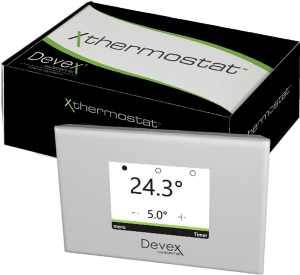 Devex Systems’ NEW X thermostat range of thermostats are specifically designed to work with the Xcable and Xmat range of products. They ensure simple and precise control of floor heating systems and other radiant heating systems like ceiling heating. There are over 6 different models to select from, all with sleek, modern designs and the latest technology including Wifi options. Intelligent Electric Floor Heating that gives cost-effective, natural and lasting warmth. 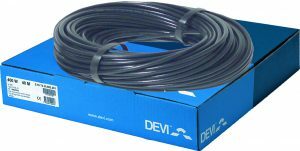 DEVI is a European-made brand of intelligent electric floor heating systems, that offers a full range of high performing, long-lasting cables, mats and thermostats. DEVI sets the bar high as one of the most respected names in electric floor heating and a global leader in heating solutions. Underfloor heating means any room can be designed with elegant simplicity. These electric radiant floor heating systems are recognised around the world as safe, silent and very comfortable, providing practical luxury in any room. 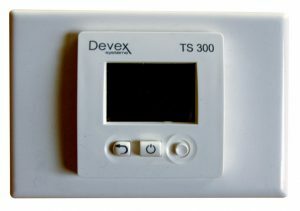 DEVI is the only underfloor heating manufacturer that develops, manufactures and markets complete systems containing heating cables and thermostats. Consequently, there is complete harmony between the components of our heating systems, which means high performance, greater comfort, optimum reliability and usability, alongside low energy consumption. 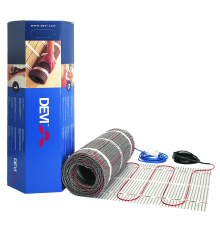 DEVI’s intelligent electric floor heating systems are ideal for domestic, commercial and industrial projects. Having underfloor heating means any room can be designed with elegant simplicity. These radiant heating systems are recognised around the world as safe, silent and very comfortable, providing practical luxury in any room. 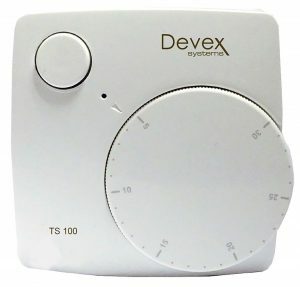 DEVI also supplies a number of accessory items including mirror and time and temperature control thermostats and specialised industrial heating products. To learn more please visit our catalogue. F-Board is designed to be used beneath floor heating systems to minimise downward heat loss and aid in faster warm-up times. Without the use of F-Board insulation, some of the energy generated from the heating elements travels downwards into the floor below, leaving less heat available to warm the tiles. F-Board insulation is of particular importance in small applications like bathrooms, ensuites, and powder rooms because these areas usually require “faster” warm-up times, higher floor temperatures (than larger, general living areas) and are often occupied for only short periods of time. F-Board insulation ensures energy savings, improved comfort and quicker warm-up times. F-Board is designed to be used beneath electric floor heating systems and it can be placed in direct contact with underfloor heating cables and mats. F-Board is made from high grade extruded polystyrene with a top and bottom surface finish of a polymer cement filler material that is reinforced with fibreglass mesh. F-Board 6mm has an R value of 0.16 and F-Board 10mm has an R value of 0.20. F-Board is glued (using a staggered joint layout) to the concrete or timber floor using typical tile adhesives (non-solvent based) that are suited to electrically heated floors. The floor surface must be a clean, dry, dust-free, smooth flat surface. Plaster board jointing tape is recommended for all joints. Where required, the water-proofing membrane may be placed below or on top of the F-Board insulation layer. The heating elements are then placed directly on the F-Board and the tiler continues the floor tiling process normally. The heating elements can be in a screed bed or glue bed/levelling compound, based on the heating design selected. Devicell Dry insulation panels are recommended for use with electric floor heating under manufactured floating timber floors. The panels have a polystyrene insulation that ensures downward heat loss is minimised, while the aluminium surface ensures a uniform distribution of heat transfer to the timber floor. Insulation: 12mm fire retardant EPS. R value is 0.33 Each panel is 1.0m x 0.5m. 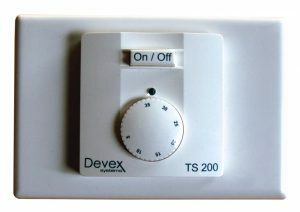 These panels are used in conjunction with Deviflex 10T heating cables. Quick Heat is a combination of grooved aluminium plates where heating pipes are inserted, and XPS insulation. Because the pipes are installed directly beneath the floor finish, it is the fastest way to bring the floor up the temperature using hydronic heating.